What are the different ways to register for a course ? You may register online by visiting the registration page on our website. Payments are made into TRACTRAIN’s bank account (Please contact us for details).It is expected that all payments and registrations should have been completed prior to the first week of prep. How do I get help with the admissions process once I have taken the GMAT? 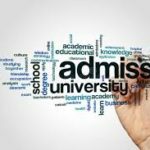 The business school admissions process can be a very murky as well as intimidating experience. It is also quite time-consuming. Once you have the test behind you, one of our experienced admissions consultant will be available to offer you free advisory service. However, fees will apply to actually work on your entire process, such services will include: crafting and editing your essays to preparing for interviews, crafting a winning resume, reviewing what is expected from your refrence documents e.t.c.For more information about this service, please call us: +234-803-355-7712, +234-703-537-5468. At TRACTRAIN GMAT Prep, we greatly value the opinion of our students and use surveys as part of our assessment process. Students are given the opportunity to evaluate their instructor’s proficiency, style and effectiveness of teaching in addition to the course structure and material.If at any time you are not satisfied with your course, we expect to be notified immediately. I am not sure of when to start business school, so why should I begin preparing for the GMAT now? The GMAT score is valid for 5 years, taking it right after your university education would be the best time since you do not have the constraints of having a full-time job. Also, basic quantitative and verbal concepts are still particularly fresh on your mind. How long after the course finishes should i take the actual GMAT? It’s important to make sure there is not too much of a lag after the end of the course.If you attend all scheduled classes and complete required assignments, you should be ready to take the GMAT in less than 2-weeks of the course’s end. This will be sufficient time to improve on any weak areas and put in additional practice time. Private tutoring sessions are easily arranged. All you need to do is contact our offices and speak with one of our advisors who will help you determine how much tutoring time you should begin with. Once you start working with your instructor, you can determine if additional time is required. A benefit of private tutoring is that your instructor work with you to co-develop your course to make it relevant in addressing your areas of weakness in the test. Your course materials will be made available to you upon payment for the prep course. Customised Tractrain prep workbooks (2) are available for N4,950 each. 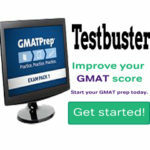 Each GMAT student will receive the official GMATPrep software(free). We usually do not stock textbooks. However, there are several good textbooks if you choose read further/study. Where are the GMAT lectures delivered? -GMAT lectures in Abuja, Nigeria Please call for details. TRACTRAIN GMAT Prep courses are offered on request during the weekdays and on all weekends throughout the year to accommodate the busy lives of students and working professionals. Courses are flexible enough for you to achieve your ideal work / study / life balance. 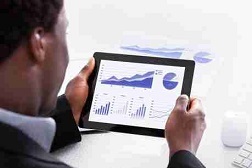 A GMAT appointment costs US$250.You can pay online at www.mba.com with a credit or debit card. 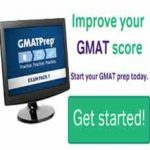 You will receive 5 scores on the GMAT: an overall score, subscore for the Verbal section, a subscore for the Quantitative section, and scores for the Analytical Writing Assessment and Integrated Reasoning sections. Your overall score will be from 200 to 800 and the subscores will be scored from 0 to 60. For each of your scores, you will also receive a percentile rank, which shows the percentage of examinees who scored below you (based on everyone who has taken the GMAT in the last 3 years). So if you score in the 70th percentile, it means that 70% of test-takers scored lower than you did. A “good” GMAT score is only relative to the MBA of Masters programmes to which you are applying! You will need to do some research on the schools to which you want to send your scores and set yourself realistic goals based on the average scores accepted by those programmes. Top tier schools will usually be looking for a score in the 90th percentile or above (e.g. Wharton has an average GMAT score of 713; Harvard 708; INSEAD 702; and London Business School 680). Where can I take the GMAT exam in Nigeria? Where can i get the best GMAT prep & admissions services in Nigeria? 18 Babatunde Jose road, off Adetokunbo Ademola Str., Victoria Island, Lagos, Nigeria. How do I register for the GRE test in Nigeria? Do I need an agent to register? How can I get accurate information about the GRE test and lectures in Nigeria?